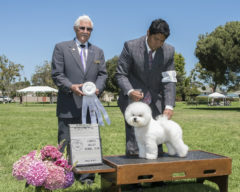 Willow G4 win photo from Lompoc show July 20, 2017. She is now Grand Champion Gold. GCHG Shira Yuri’s The Lady Willow By Ikon.